Dr. Copeland joined the NOD Board of Directors in 2015, and in 2016 Kaiser Permanente became a President’s Circle member of the NOD Corporate Leadership Council, a group of 50+ companies committed to advancing disability inclusion in the workplace. Because of Kaiser Permanente’s exemplary employment practices for people with disabilities, NOD named the company a 2017 Leading Disability Employer™. 1. Why is it as important to focus on mental health in the workplace as physical wellbeing? Mental health conditions are on the rise globally. An estimated 350 million people worldwide suffer from depression, and the World Health Organization has predicted that by 2020 depression will be the second-leading cause of disease globally. Depression and other mental health conditions are a leading cause of workplace disability in the form of lost productivity because of how common they are–1 out of every 5 people are suffering from a mental health condition at any given time–and because they tend to occur when people are young. Three-quarters of mental health conditions arise before the age of 24. While these statistics seem daunting, it’s important to remember most of these conditions are treatable. However, mental health too often is treated as separate from physical health. One of Kaiser Permanente’s core beliefs is that total health is more than freedom from physical affliction — it’s about mind, body, and spirit. It’s the philosophy we live and breathe. Part of our mission is to achieve total health for our employees, members, and the communities we serve. With respect to our employees, we know it’s difficult to reach their full potential if they are experiencing physical or mental challenges. If we are committed to our employees achieving total health, we must treat mental health as importantly as we treat physical health, by creating an environment where people feel supported and psychologically safe, and where they have access to mental health services. There are resources available. There is hope. 2. Why is there still a stigma about mental health? Are you seeing a cultural sea change at all? 3. What does the research show about prioritizing mental health and inclusion? But, again, we want people to understand there is hope. Treatment for depression and mental health conditions works – but people who feel the need to keep their depression hidden are far less likely to seek help. That is why we want to reduce the stigma around mental health conditions, so those who could benefit from treatment aren’t afraid to seek it out. 4. What is Kaiser Permanente doing to make the workplace inclusive for people with disabilities, including mental health issues? Specific to mental health conditions – our commitment to advancing the conversation on mental health and wellness runs throughout our organization and beyond. 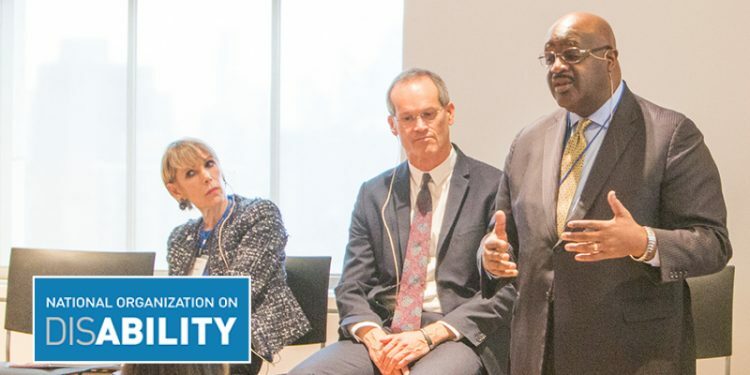 Our Chairman and CEO Bernard J. Tyson is actively leading a global dialogue about mental health, leading a panel on the topic at the 2018 World Economic Forum in Davos, Switzerland, and participating in a discussion at Brainstorm Health 2018 on ways to reduce stigma around mental health issues, integrate mental and physical care, and build resilient communities. And as part of our Find Your Words campaign, Kaiser Permanente partnered with national oral history project StoryCorps. We asked for volunteers – both inside and outside our organization – to share their personal experiences with mental health conditions. The conversations are powerful, and everyone who participated said they did it because they wanted to help others. Sharing these conversations builds awareness and empathy around mental health conditions and the hope is listeners will be inspired to step out and share as well. 5. What are things we all can do to create a more inclusive environment for those struggling with mental health issues?